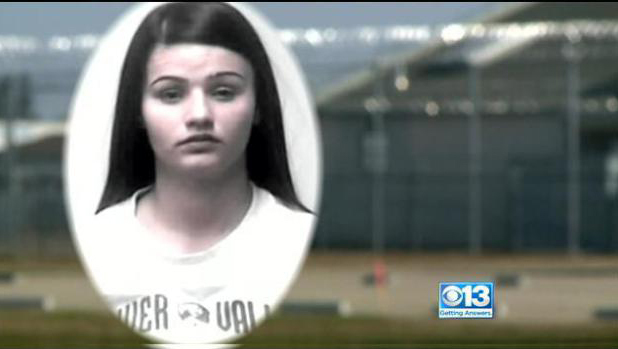 YUBA CITY, Calif. -- A California teenager is in danger of being deported after she tried to raise money for a prom dress by selling pot-laced brownies, CBS Sacramento reported. Saira Munoz of Yuba City wanted to go to the prom, but when she didn't have money for a dress, she became an entrepreneur. "People make mistakes," said Carlos Robles, a friend of the teen. But this mistake landed the River Valley High School student in handcuffs. Munoz, who was 18 at the time, decided to put on a school bake sale. There was an extra ingredient in her brownies: marijuana. She hired a fellow student to sell her brownies. Her pot ploy fell apart when a student got sick and needed to be rushed to the hospital by ambulance. "I was hurt, because she got arrested, and nobody wanted to see somebody we cared about go away," Robles said. Because Munoz hired a fellow student, she was charged with employing a minor to sell marijuana -- a felony. Robles went to school with Munoz at River Valley High and remains friends with her. "She was just a very positive person," he said. "I just don't like the turnout of this." A judge sentenced her to four years probation on Monday and nine days in jail with credit for time served. Munoz, now 19, also learned during her sentencing that she could be heading back home to Mexico. She came to the United States with temporary permission in 2000. After the Sutter County Probation Department called the feds about her conviction, she could now be deported. Robles said deportation it too harsh a penalty for Munoz. "There's people that deserve to be deported, and she just wasn't one of them," hes said. "There's people that do way worse."